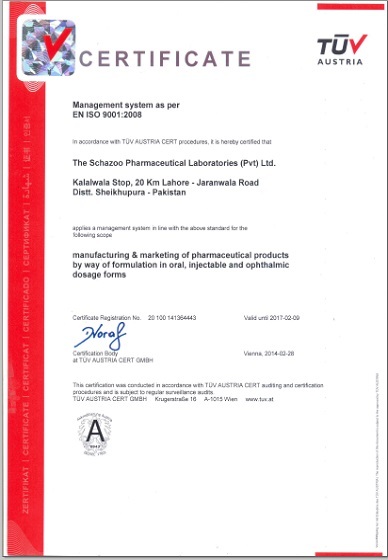 Quality Policy – The Schazoo Pharmaceutical Laboratories (Pvt) Ltd.
Our mission is to continually provide quality pharmaceutical products according to International & Local regulatory standards at appropriate prices ensuring customer satisfaction. We will strive to accomplish this mission through an updated quality management system, which consist of adequately trained personnel and documented procedures. We will work to achieve these quality objectives dedicatedly and within the specified timeframe.